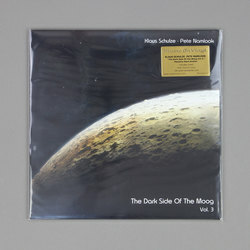 Klaus Schulze / Pete Namlook - The Dark Side Of The Moog Vol.3: Phantom Heart Brother. Vinyl LP. Bleep. Klaus Schulze (Tangerine Dream, Ash Ra Tempel) and Pete Namlook’s The Dark Side Of The Moog series now numbers eleven releases and has been running for well over a decade. 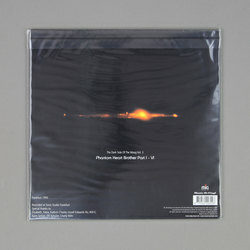 The third installment, 1995’s Phantom Heart Brother, is a reinterpretation of Pink Floyd’s 1970 LP Atom Heart Mother (that’s the one with the cow on the front). Phantom Heart Brother is one of the series’ most out-there entries. Clocking in at one minute short of an hour, the record veers between portentous drones, twinkling modular episodes and eerie atonal ambiences. There is as much György Ligeti as there is Kraftwerk to this one.